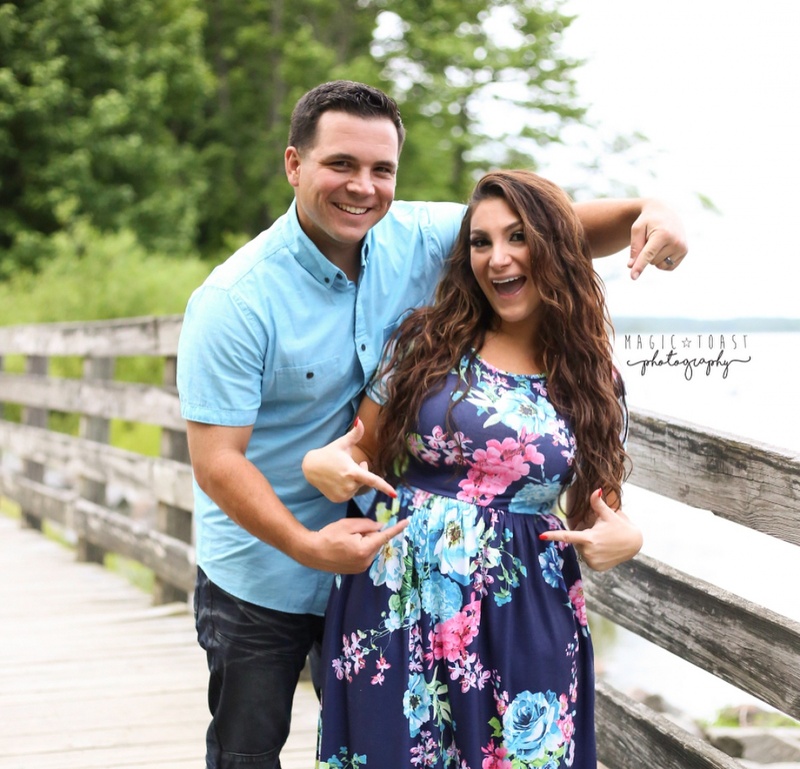 "Jersey Shore" star Deena Cortese has announced she is pregnant with her first child, a baby boy, with her husband Christopher Buckner. "Chris and I decided to wait until we were ready to spill the beans!" Cortese announced on Instagram on Monday alongside a photo of herself with Buckner. "Now that we are safely into our second trimester.. us and our little monkey are ready to tell the world our little family is growing!" The photo features the couple holding up a baby-sized shirt that reads "coming soon" and a 4th of July themed sign that announces that the baby is expected to arrive in December. "We have a sweet little boy on the way! We Are truly blessed and our hearts are filled with so much joy and happiness," the reality star continued before confirming the upcoming baby's name. "December can't come soon enough! Daddy and Mommy can't wait to meet you Christopher John. You are going to be the most spoiled little boy ever!!!!" Cortese and Buckner tied the knot in October during a ceremony that was attended by her "Jersey Shore" castmates Nicole "Snooki" Polizzi, Jenny "JWoww" Farley, Mike "The Situation" Sorrentino, Sammi "Sweetheart" Giancola, Paul "Pauly D" DelVecchio and Vinny Guadagnino. Cortese recently appeared in the newest version of "Jersey Shore" titled "Jersey Shore: Family Vacation." The show was renewed for a second season in February.